North America is the top consumer and producer of personal protective equipment and services—and it looks to stay that way in coming years, according to a new report from BCC Research. The report, Personal Protective Equipment: Global Markets, found that in the United States, government regulations, particularly from the Occupational Safety and Health Administration and the Department of Labor, are helping to push safety infrastructure globally. Overall, the global personal protective equipment market is expecting a compound annual growth rate of 6.5% between 2017 and 2022, according to the report. The market was valued at $41.7 billion in 2016 and was forecast to grow to $61.9 billion by 2022. Personal protective equipment can safeguard the head, eyes, face, hearing, lungs, feet, and hands, and guard against falls and skin exposure. Of these, professional footwear maintains the largest market category. The professional protective footwear industry was valued at $8.8 billion in 2016 and expected to see a compound annual growth rate 7.9% through 2022. Leading manufacturers and researchers in the protective footwear industry include Delta Plus, Jallette, Oftenrich, Rock Fall, Alpha Pro Tech, Nike and Bekina. Strict labor laws and an expansion into niche markets places North America as a leading global consumer of personal protective equipment. Through 2022, growth will come chiefly from fall protection (8.2%), hand protection (7.3%), and respiratory protection (6.7%). The regional market was pegged at $14 billion in 2016 and was expected to reach $20.6 billion in 2022, growing at a CAGR of 6.5% for the period. 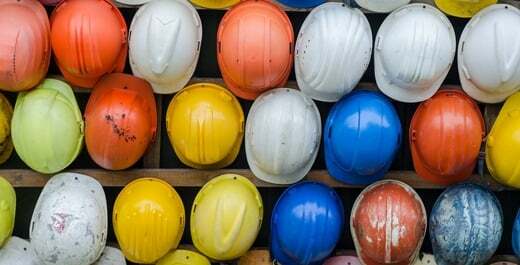 In North America, leading industry consumers of personal protective equipment included the oil and gas and construction industries, while the leaders by growth included the transportation and food sectors. In the market for head, eye and face protection, Latin America was projected to see the most growth through 2022, although North America would lead in terms of total market value. Rising safety concerns and growing awareness of worker rights are helping to fuel growth in personal protective equipment sales in China, according to the report. The market in China is seeing an influx of imported equipment, leading domestic companies to seek market share by offering lower prices. Overall, the report said, the market is seeing the impacts of price sensitivity, inferior products and inefficient revisions of rules and regulations. In China, the market for professional footwear is expected to lead the industry in size, with a CAGR through 2022 of 4.8% and an estimated 2022 value of over $1 billion. Leading product sellers in China include Lakeland Industries and MSA Safety, which is based in Pennsylvania. A leading regional producer is Pan Taiwan Enterprise, which also sells to Taiwan and Malaysia and specializes in head, face, hand and eye protection, as well as traffic safety products. For a more detailed look at the Personal Protective Equipment global market, download the free report overview.